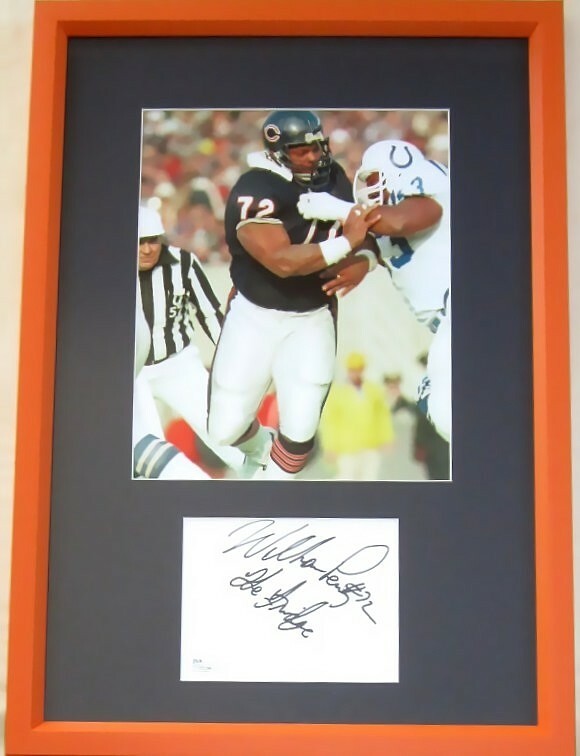 Large autograph on plain white paper signed in black marker by former Chicago Bears sensation William (The Refrigerator) Perry inscribed The Fridge, matted and framed in orange with an 8x10 action photo, ready to hang. 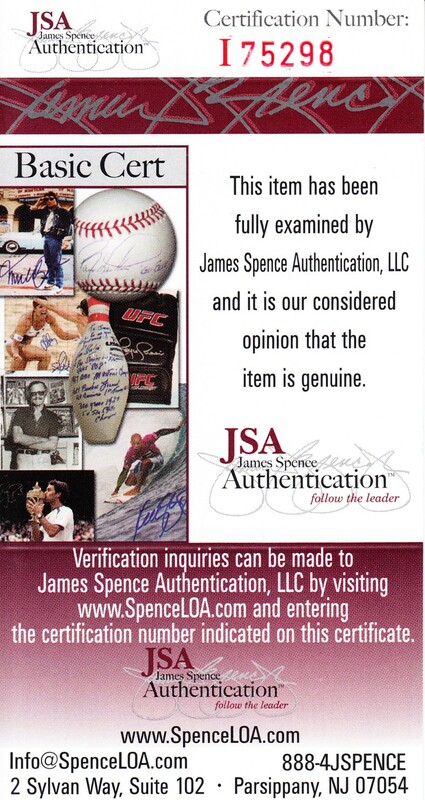 Authenticated by JSA with their matching numbered sticker and certificate of authenticity. Framed size is about 14 by 19 1/2 inches. ONLY ONE AVAILABLE FOR SALE.